The nodes can communicate together and in any direction, without compromising on power, size or price. Pre-configured operation profiles quickly define network topology and specify how and when the nodes interact with each other. 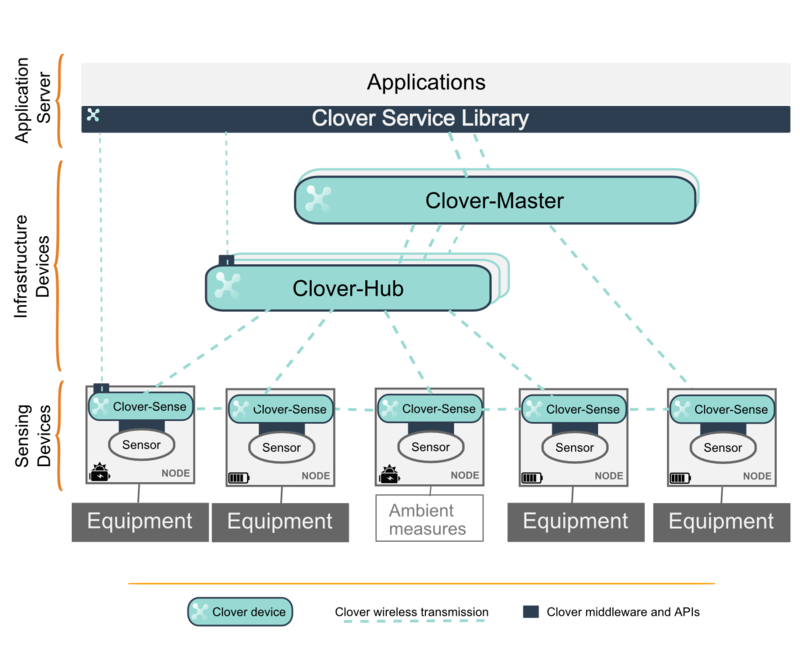 Clover-Hub nodes are optional and provide even more flexibility when choosing the shape of the network. All the Clover-Net nodes can also contain additional, business-specific intelligence. You can also adjust the profile’s configuration over the air, or change to a new, custom profile. For example, if you want to interface with a public network, that’s just another profile. We already provide a number of them! The Clover-Net framework manages resource sharing (timers, IRQs, drivers…) while preserving both the low-power modes and the repeatability expected by wireless sensing applications.